Manual machines allow the coffee drinker to make coffee exactly the way they like it and cater to their personal taste. They also offer the flexibility to choose your coffee and use the freshest beans, which we know make the best espresso. Finally, operating a manual coffee machine is also cheaper than a capsule machine on a comparative per-cup basis, so you can create a true espresso for a lower cost. -Tim Anderson, product marketing manager for coffee, Sunbeam. 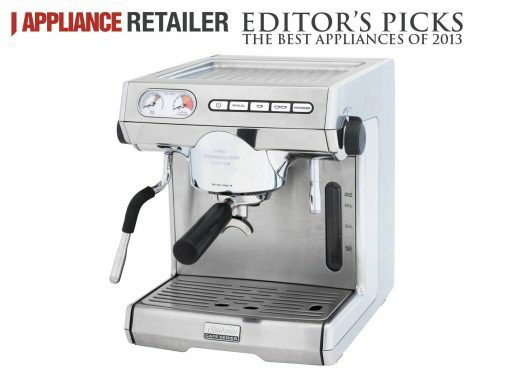 The cream of the manual coffee machine crop 2013, the EM7000 was recognised at the Australian International Design Awards for its ease of use and professional-standard results. Sunbeam built seven years of consumer insights into this machine and it shows! Espresso Express: The milk frothing is so easy to learn anyone can be a latte artist. GUD Holdings has launched an internal audit to assess Sunbeam’s brand strength in a market becoming saturated with white label, house brand and retailer brands. GUD says this proliferation has “intensified competitive new product launch activity”, a fundamental change in a market Sunbeam has traditionally dominated through its very high mindshare position. GUD expects to see the results of this audit borne out through product releases and marketing activity in the near future. This will include a new brand campaign, refreshed point of sale and create executions specifically targeting the Gen Y demographic.